Park Shop Ride: A model for high-speed rail-adjacent planning. An Olympic training facility in the Santa Ana River. Disneyrail: An efficient and entertaining transit experience connects Disneyland visitors with the emerging high-speed rail network. Programmatic adjacencies of high-speed rail. 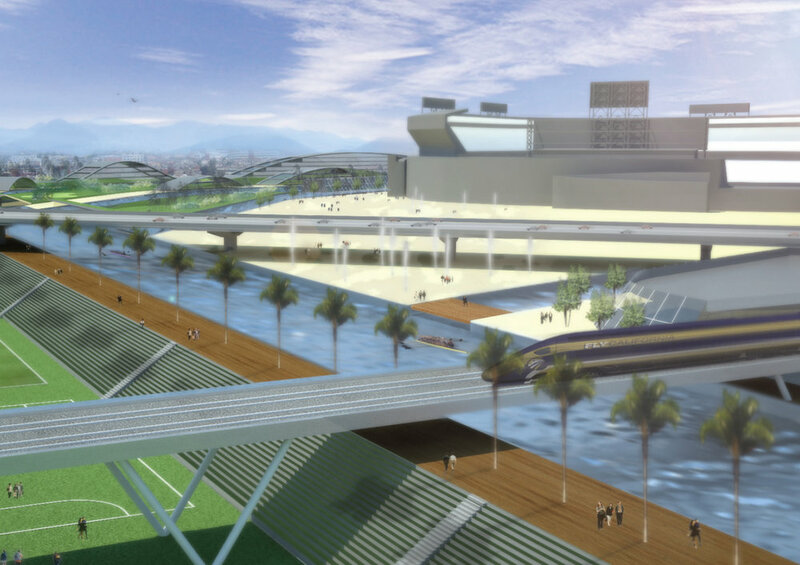 This project established a multidisciplinary partnership of UCLA's cityLAB with the UCLA Department of Urban Planning and the UCLA Ziman Center for Real Estate to conduct investigations to determine the effect of high-speed rail stations on urban development in Southern California communityes, delineate the best policy and planning practices for positive change. The high-speed rail system that will link California's southern, central and northern population centers has several goals: to offset the state's increases in automobile and air travel, to reduce roadway congestion, fuel consumption, and greenhouse gas emissions, and to generate more environmentally-sensitive urban patterns. But to harness that potential, we need far more study into the connection between high-speed rail and urban development. With such research, we will be able to better guide development around high-speed rail stations. This study established a multidisciplinary partnership of UCLA's cityLAB with the UCLA Department of Urban Planning and the UCLA Ziman Center for Real Estate to conduct three interrelated investigations: 1) to determine the types of urban development that have emerged around high-speed stations elsewhere through the Delphi method, 2) to identify the likely effects of high-speed rail stations on the Southern California communities adjacent to them through case study analysis, and 3) to delineate the best policy and planning practices to bring about urban development aligned with the state's larger environmental, land use, and transportation goals through participatory action research. 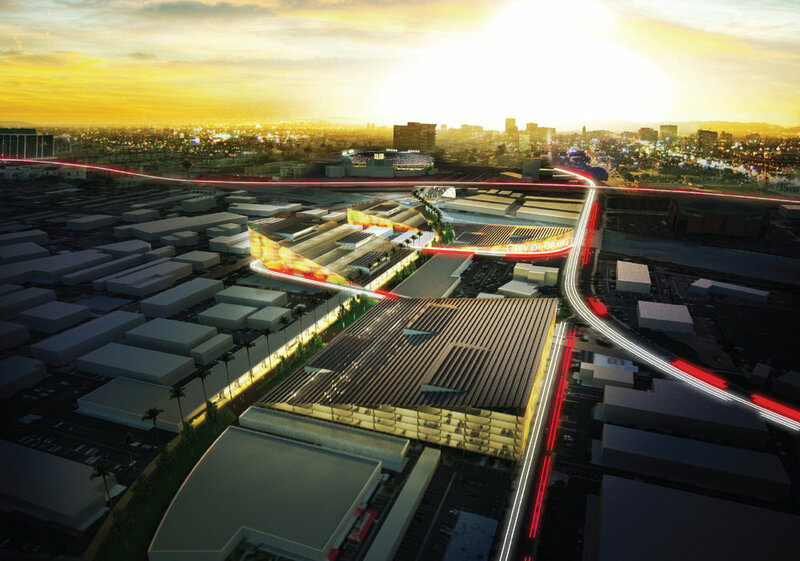 The study offered recommendations for the planning, design, and programming of areas around stations so that Southern California communities are better prepared for the arrival of high-speed rail, to leverage that investment, and to amplify its positive effects. For several stations, the surrounding areas were envisioned according to multiple scenarios. Led by Roger Sherman, these varied development narratives demonstrate possible urban consequences when cities take a proactive stance about the coming high speed rail.